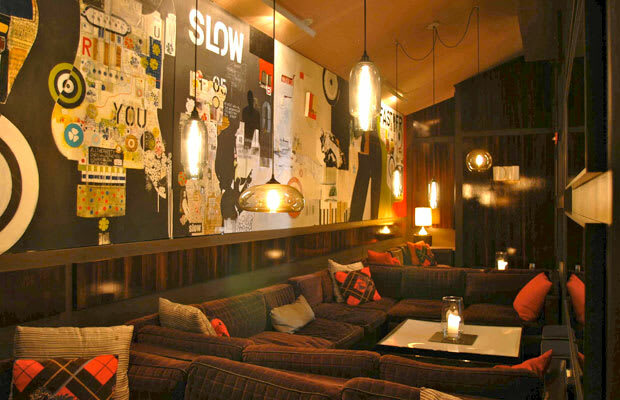 Our advice: take your nightcap to Thom Bar, because the subdued interior will calm your over-stimulated, inebriated senses, and you won’t need beer goggles to appreciate the attractive staff. While located in the Thompson Hotel, don’t mistake Thom Bar for its über-exclusive rooftop counterpart, which is almost impossible to get into. But no worries; this inviting venue is just as slick, but more relaxed, with plenty of seating, dark wooded walls, sweet cocktails, and dim lighting to set the mood.